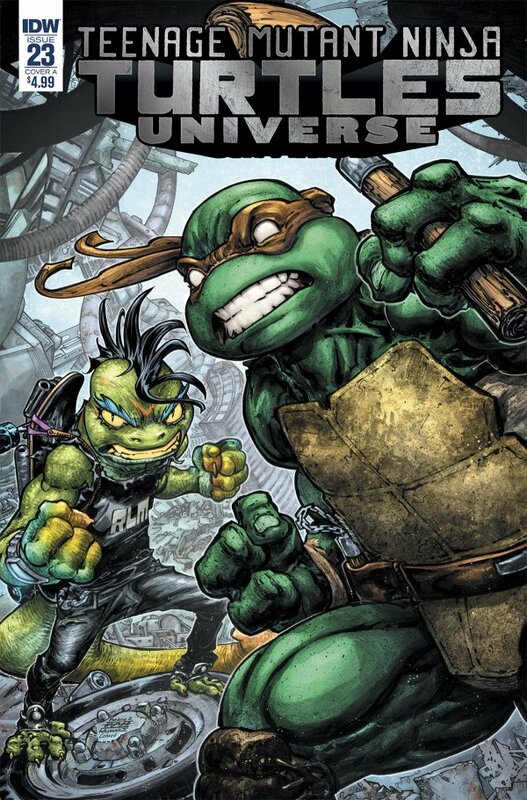 The first story features some of the Mutanimals, with Seymore looking worse for ware. He is trying to be cheered up though, and Mondo does seem to have the best of intentions in place – although it doesn’t seem to be working. Mondo is really struggling with this, and luckily he’s got some help in to calm him down. it’s quite a deep part of the story, with Michaelangelo making some very good comments, and helping Mondo work around his issues. Michaelangelo is working very well as a calming influence, as well as helping on the more physical aspects. Things don’t look good as we get to the cliffhanger on the first part….